Managing your finances is a challenge that must be met on a daily basis, but Gwen and J from Fire Drill Podcast – Financial Independence, Real Estate, have taken this to a whole new level. Gwen from the podcast joined MacKenzie to talk about the growth from two bloggers to a podcast and the challenges and new opportunities that stem from it. The episode begins with a quick discussion on new Google Podcast app in the future, that is essentially a shortcut. Next up they talk about why Gwen and J wanted to create a podcast and the success they’ve seen so far. Being in two different states and time zones can make things difficult but it’s all part of the process. You can learn more about their show and backgrounds on their in the show notes below. Podcast advertising revenue hit another big year, with 2017 overall bringing in 314 million. There was an increase of 86% from the year prior, which displays the attitude change that many media buyers, companies, and large organizations have had. There is an expected increase of 110% growth in the years 2017 – 2020. Podcast advertising is certainly nothing to ignore. Thanks for listening to the show and please subscribe via your favorite podcast app. New Google Podcast App: Will a shortcut really change the the number of people that use the Google Play Music app for listening to podcasts? 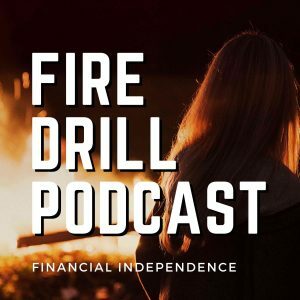 Fire Drill Podcast – Financial Independence: From Gwen and J, learn how they took control of their finances and are taking the careers in their own hands. 314 Million in Advertising Revenue for 2017: That’s a huge increase from years prior. 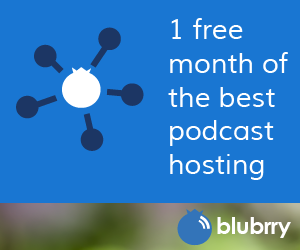 Podcast Movement: Use the code Blubrry and get 10% off your ticket. See you in Philly!